Overhauled and new aircraft engines require a break-in period; during this period – usually less than 24 hours total – aircraft engines are lubricated with specific oils with limited additives. This process results in increased friction, causing controlled wear to take place. Though wear is almost always a negative, this process is actually helpful in that it helps to smooth rough, just-machined metal surfaces, thoroughly preparing the internal components for takeoff and extended flight. However, this oil needs to be quickly drained and replaced with a proper lubricant before flight ensues. Also, it is recommended to drain the oil several times during the break-in process in order to remove potentially harmful metal debris. 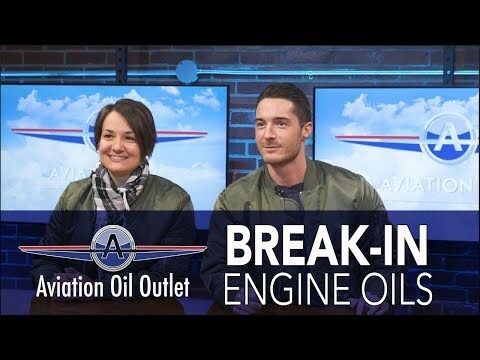 Straight-grade aviation oils for engine break in are free of certain detergents and dispersants which may prevent the oil film from breaking: a natural and desirable process during engine break-in. If you need more help understanding the difference between a break-in oil and a normal operation oil, please give us a call at 1-855-899-7467.